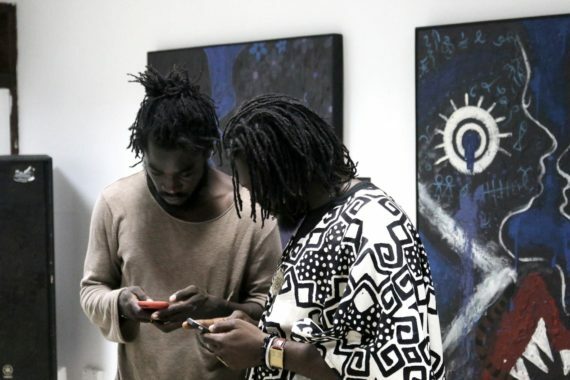 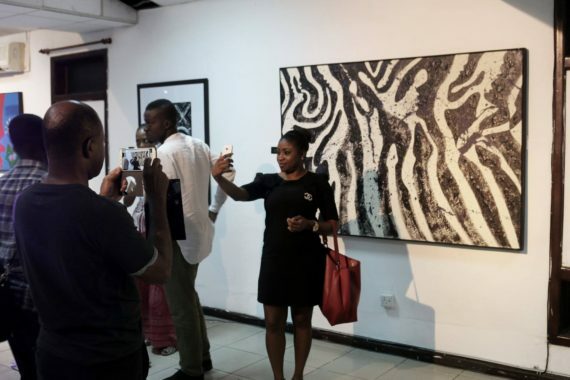 An evocative exhibition of various shapes, forms, patterns and symbols that hypnotize contemporary mythology by multi media artist Efo Sela Adjei is closing at the Alliance Française in Accra. 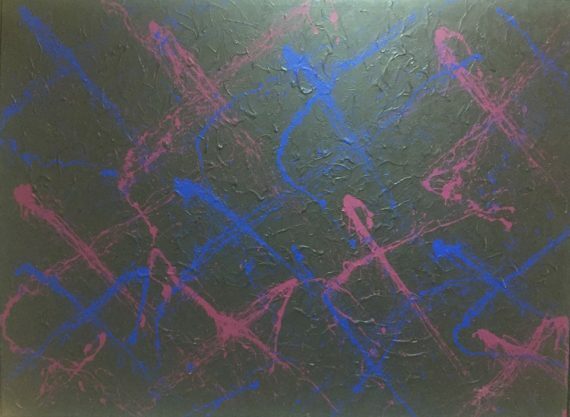 Adjei’s works on display are characterized by dark and often thick backgrounds with hues of blues, greens and pinks alongside whites that sometimes serve as outlines, which often stand out while ensuring a sparkling effect. 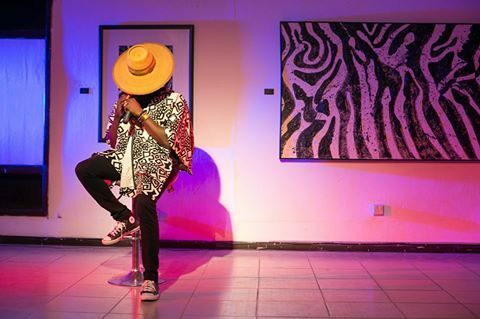 His rather hazy images confront and collide with each other as they congregate to powerfully herald intense representations and sketches of his inner soul and spiritual consciousness. 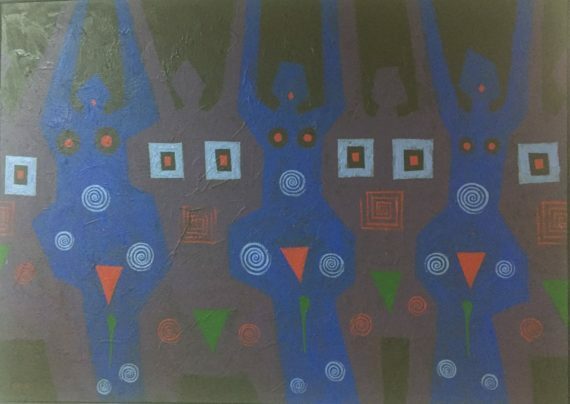 Titled “Lomnava Exhibition”, his extremely distorted human figures appear to float in weightlessness while emphasizing the paradoxes and contradictions of harmattan love, sexual fantasies and covetousness. 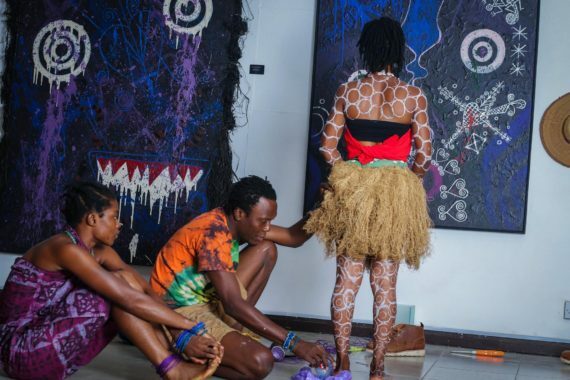 Beyond the obvious cultural syncretism, Adjei’s works offer several planes of interpretation – optical illusions, philosophy of romance, sanctity, eroticism, spiritualism and an ingenious sexual indulgence. 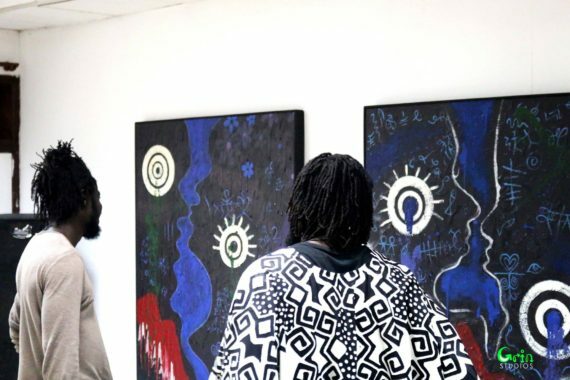 Undeniably – Adjei’s work reflects a subtle mediation between his different personalities – his inherent qualities, the spiritual forces that surround him and his views on diverse issues that compel him to react with his brush. 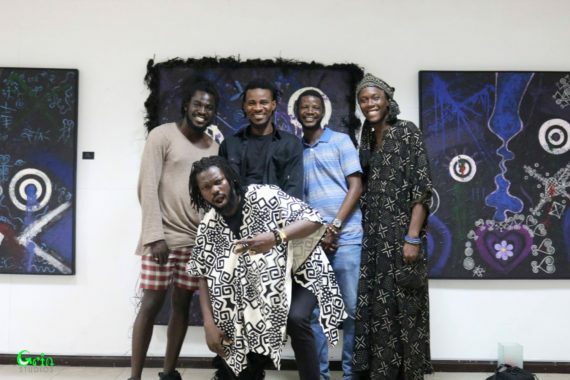 Talented poet Elpklim Akorli performed a number of his poems while inventive dancer / choreographer Sena Atsugah led a group of dancers in a magnetic performance that mesmerized art lovers at the opening. 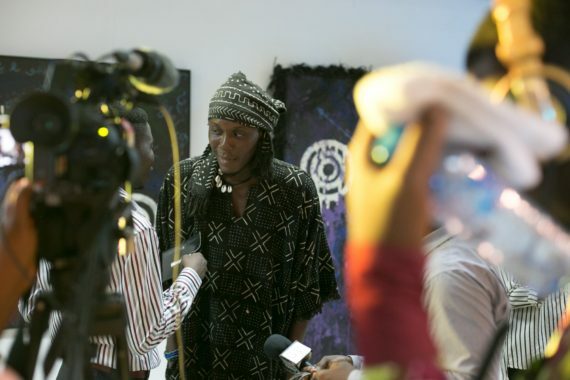 Efo Sela Adjei has exhibited in the United Kingdom, Italy, the United States and several venues in Ghana.